In “High Heels, Honey Lips, and White Powder,” the author shares how she decided to turn her life around, found her way back to God, and rebuilt her faith after hitting rock bottom. Through her book, she encourages readers to see that no matter what people are going through or no matter how a person feels alone and hopeless, God can set a person free. At one point in her life, Dr. Rose Maria McCarthy Anding led a life trapped in addiction, crime, violence, and homelessness. She became involved in a major drug scandal. Throughout her ordeal, McCarthy’s life didn’t have a strong direction until she found herself on the doorstep of a spiritual rehab center. 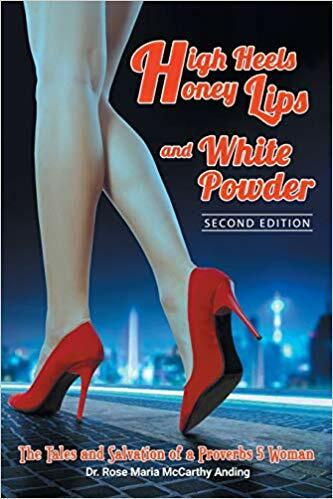 “High Heels, Honey Lips, and White Powder” takes readers through the author’s life-changing journey to finding her way back to God’s grace. She talks about hitting rock bottom, going through rehabilitation, trading her high heels for a Bible, and beginning a renewed relationship with Jesus. She also narrates how she began fulfilling her new purpose with God’s love and guidance. Catch “High Heels, Honey Lips and White Powder” as it joins the upcoming Los Angeles Times Festival of Books on April 13-14, 2019 at the University of Southern California. Don’t miss it! Dr. Rose Maria McCarthy Anding was born in Mississippi. Anding, Executive Director of the Restoration Christian Outreach Community, oversees the humanitarian programs being operated by Early & Lettie Simmons Foundation for humanity, in honor of her parents to help those who are ensnared by the addiction of any kind. She is a widower, mother, step-mother, grandmother, and a great-grandmother.